How to Obtain Dual Citizenship? | Go For Visa | Australia Immigration Consultant & Visa Experts in India. The government of United States allows you to be citizen of US as well as some other nation at the same time. This is usually considered as dual citizenship or dual nationality. However, the benefit of dual citizenship only comes after following some stringent rules and regulations set by US government. Every nation has its own laws and guidelines regards to the citizenship which every individual must follow in order to sustain his citizenship in respective country. Marriage is most common and easiest way of obtaining citizenship of multiple countries. In case you are citizen of United States of America and married to citizen of some other nation then you will be directly considered as a citizen of your spouse’s nation. However, the law also makes sure that you don’t lose citizenship of your native country. Naturalization is one more way to acquire citizenship of multiple countries. The US citizenship holder and naturalized citizen of US can maintain citizenship rank of the original state. Even after going through the naturalization process the defined law of respective state will allow you to be a citizen of nation. For most of the people dual citizenship comes by birth, while for others it mainly depends upon the choice. In first case, the consequences of dual citizenship will come as a birthright. However, in second case you can choose whether the consequences of dual citizenship will offer you adequate benefits or will create headaches for you. If you fall in second case, you must observe whether advantages of dual citizenship will overweight its disadvantages. Once you decide that dual citizenship will be beneficial for you, the next step involves legal proceedings to achieve citizenship in second country. Every country has its own residential and legal guidelines that have to be fulfilled at any cost. Most of the countries even ask you to spend some time living in the country under temporary visa before you get eligible for permanent residency. 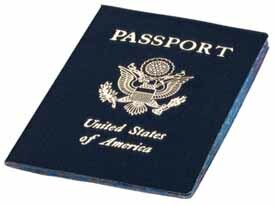 Most of the countries offer second passport program which is mainly based on financial parameters. The program demands certain financial investment from your side. If your only objective is to seek second passport to travel freely into multiple countries then you can achieve it by improving your financial status. If you wish to obtain some more information on dual citizenship and its advantages then it is better to seek advice from recognized online expert like www.goforvisa.com. Authorized Visa Agents such as ‘Go for Visa’ can definitely provide you proper guidance on tourist as well as business visa to US. In case you have any further doubts, don’t hesitate to get in touch with us at info@goforvisa.com.